I finally got home yesterday after being hospitalized for a couple of days. I began to get really ill last week and I could not stop vomiting. Finally, early Tuesday evening, the room started going black and I was going to pass out right away if I did not sit down. The room was spinning, even while I was sitting down. I thought maybe I was hypoglycemic because I experience the same symptoms when my blood sugar gets low and I had been unable to keep down anything for five days, including water. I went downstairs to my kitchen to eat a banana (at my husband's suggestion to coat my stomach). I grabbed the banana and then the room started going black again. I ran to try to make it to the kitchen chair and my knees gave out before I could reach it. I fell on my knees and landed on the stone kitchen floor with my jaw. To top it all off, I landed on the banana. It was like something out of a Monty Python movie. I passed out for a bit but when I came to, I managed to drag myself to my laptop (my phone did not charge because of a faulty cable - go figure) and called my husband. He took me to the hospital, mostly to make sure I did not fracture anything since I fell hard. When we got there, my husband got me a wheelchair because every time I stood up, my vision started going black. Then, I went back to the triage nurse who took my blood pressure. She could not believe what she was seeing and took it twice more. My blood pressure was 74/41 (normal blood pressure is 120/80). They called me back right away and put me into a room. The lab tech came in and took seven vials of blood from my foot because I had no more veins. I kept passing in and out of consciousness. I came to as the doctor was talking to my husband. She told me that I was in acute renal failure (my kidneys were failing), my blood pressure was dangerously low, and that my potassium was dangerously low, so they were going to admit me. I was so scared. Usually when I go to the Emergency Room, they treat me like a drug addict. They may give me one bag of fluids, if I'm lucky, and then send me home. However, none of the Emergency Room doctors or staff treated me that way in the slightest. I was admitted onto the Internal Medicine floor and given medication through an IV to try and get the nausea and vomiting under control, and to get my kidneys to kick back in. Additionally, I received four IV bags of potassium and my potassium was STILL low! So, they just kept giving me more. I was in the hospital for three days. I finally got to go home Friday night and I'm so glad because I really wanted some much needed sleep and rest. It is so hard to rest in a hospital with people coming in to check your vitals, draw blood, give medications, and/or bring food in. I talk more about this in my video I recorded below, but it honestly just felt like a normal Gastroparesis Attack to me, and I just thought I was hypoglycemic. That wasn't the case at all, and it was a serious emergency. I hate to think of what might have happened if I had not gone. I could have died and I am still processing that. I talk about that more below. 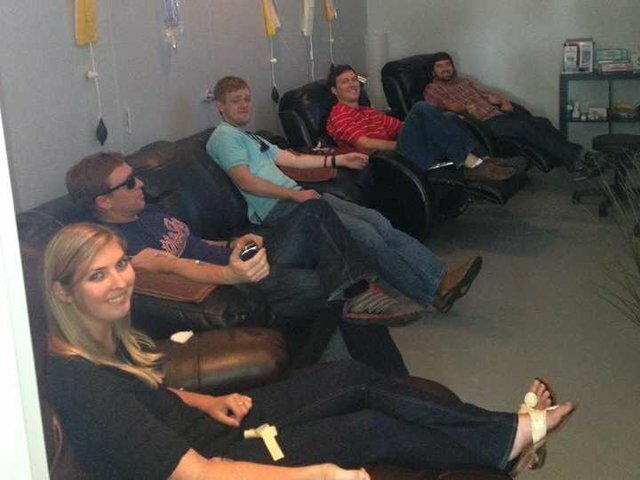 "Walk into Atlanta's Hydration Station on a Sunday morning and you'll find a dozen people in dimly lit rooms lying on recliner chairs with needles stuck in their arms. Davis said he usually gets the $99 'Niagra Falls' package for his training purposes, even though it's advertised for people in 'deathbed territory' on the Hydration Station's website. Dr. Robert Shesser, chairman of George Washington University's Department of Emergency Medicine, told Business Insider that the 'Niagra' is a perfectly safe concoction of drugs for someone with symptoms of a hangover or anyone suffering from dehydration after an athletic event. 'All of these medication are used quite frequently and their safety profile is excellent,' Shesser said. Hydrating someone who is suffering from over-intoxication is also a routine procedure, even though the science behind it 'isn't necessarily the strongest,' he said. 'The only scientific basis [for the treatment] is that alcohol is a diuretic so people who drink will have an increase in urinary output and theoretically become dehydrated,' he explained. 'But unless you are drinking shots of scotch in the middle of the desert,' you probably won't lose enough water to need an IV, he said. 'But if it makes people feel better, then great,' he added. The most popular package at Hydration Station is the $29 'Baptism,' which includes one IV bag and 15 minutes of oxygen, according to McDermott. 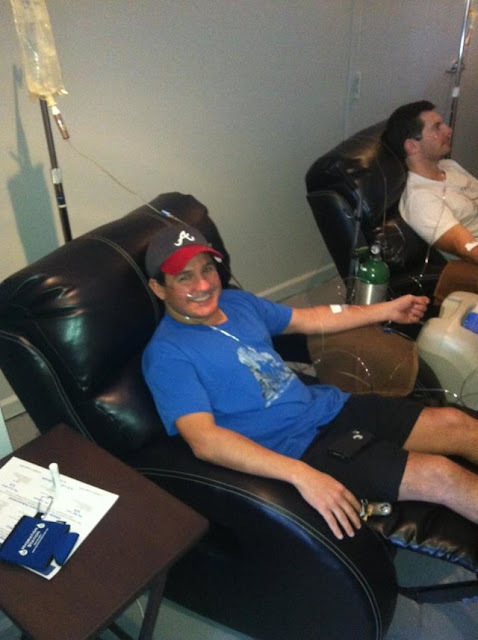 One IV bag is equivalent to drinking more than two gallons of water, he said. 'People have a fear of needles and apprehension when coming in, especially if they haven't done it before, so we try and make them as relaxed as possible,' McDermott said. 'We were playing golf the next day and the groom told me that they had a nurse who was giving IVs to people to help them get over their hangovers,' McDermott said. 'It felt super' and guests were raving about it, he said. 'People come in, they want to share stories about the last marathon they were in, or if they are here for a little over-indulgence, they like to talk about their night out,' he said. 'It's going to be a cross between the W Hotel and an Apple store,' McDermott said." 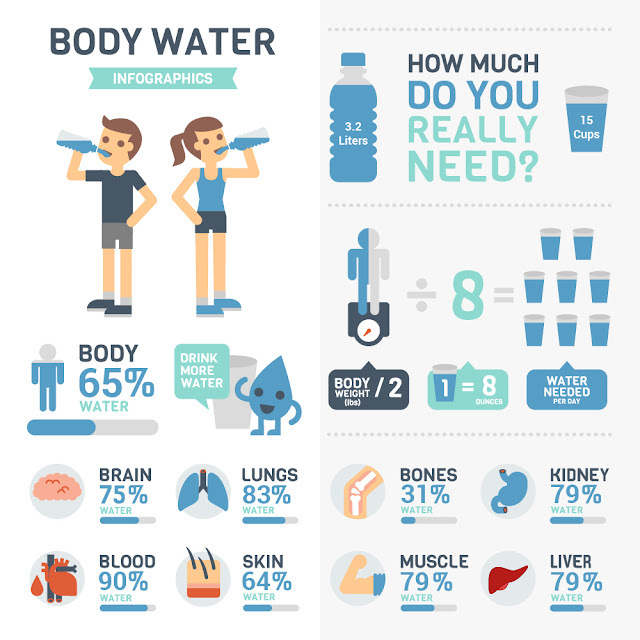 "How Much Water Do You Need to Drink Every Day? 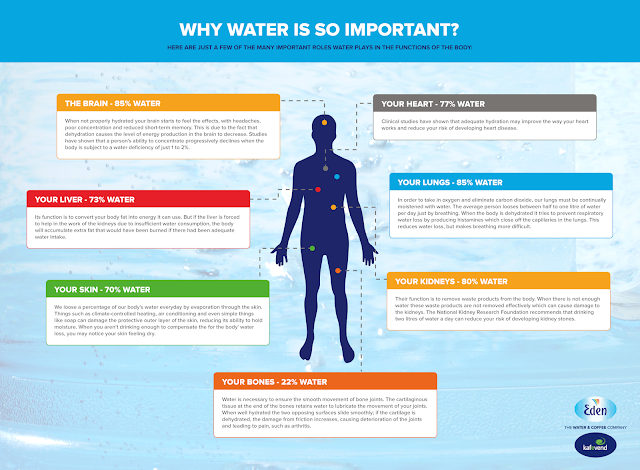 Did you know that you’re mostly made of water? If you’re an adult female, you’re about 55% water. Men are about 60% because they typically have more lean tissue (which contains more water) and women have more fatty tissue (which contains less water). Younger people have more (babies are born at about 78%) and older folks have less (about 50%). Yes, even your bones are nearly one-third H2O. 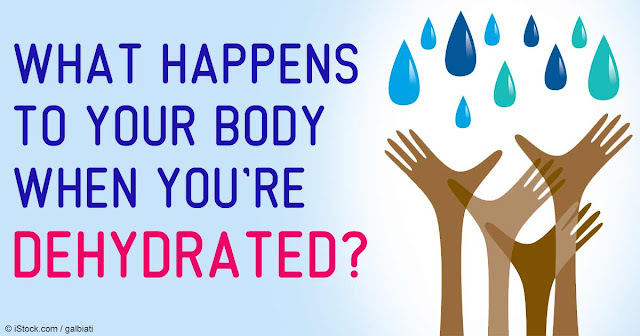 And yet two-thirds of us — nearly 70% — aren’t drinking enough water to keep our bodies functioning properly. It doesn’t take much to throw off the balance and become dehydrated. 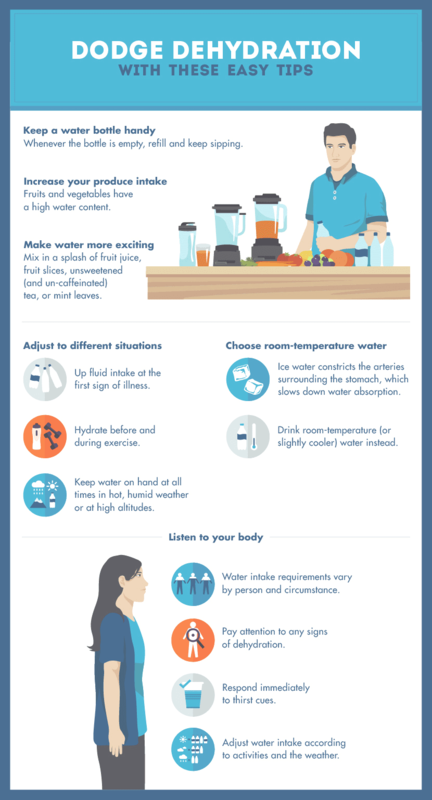 Don’t let something as simple as drinking enough water send you to the ER — it’s really not a story you’ll look forward to telling around the water cooler. 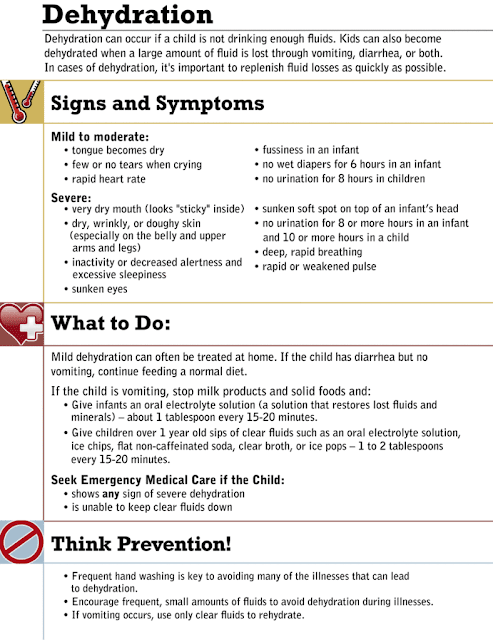 Dehydration can be very dangerous, especially for infants, children and older people. If someone you know shows signs of dehydration, seek immediate emergency medical treatment. Besides being the primary building block for all cells, water is vital to the health of every system in our bodies. Did you know water can also help prevent heart attacks? A study at Loma Linda University found that dehydration thickens the blood, making it harder for the heart to pump and increasing the risk of blood clots. Study participants who drank just 40 ounces of water a day cut their risk for heart attacks by 54% for men and 41% for women. 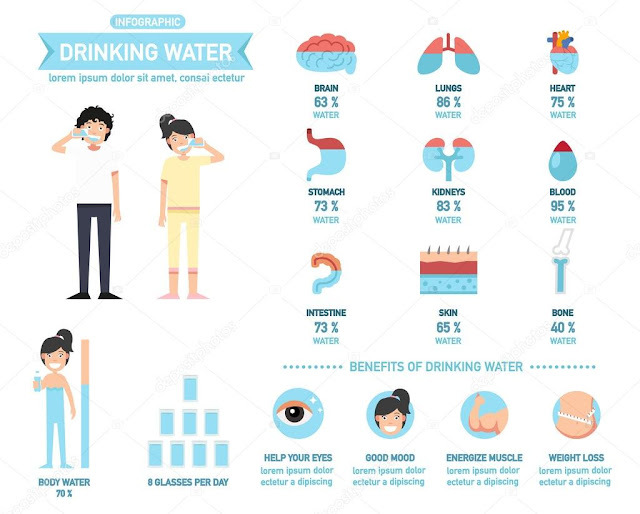 The old advice to drink at least eight 8-ounce glasses of water a day is just that — a good starting point but outdated because it was never really accurate. 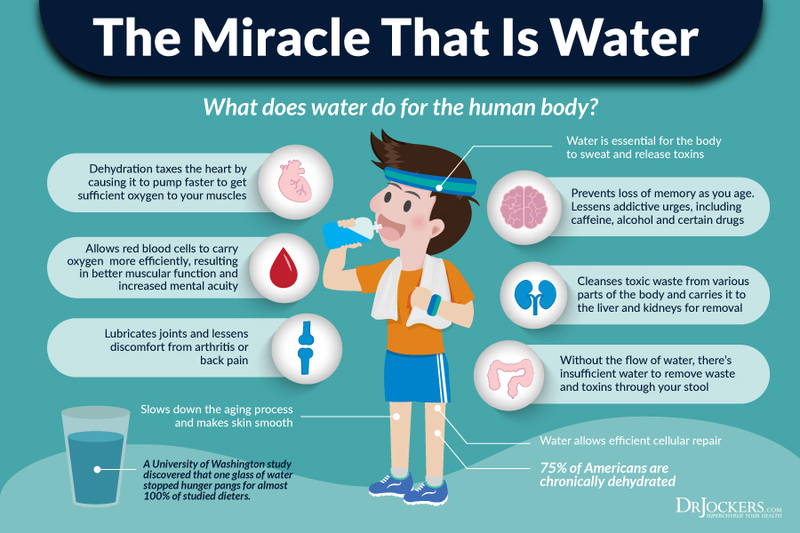 The Mayo Clinic suggests that if you drink enough water so that you’re rarely thirsty and your urine is colorless or light yellow, you’re probably doing fine. If you’re always thirsty and your urine is dark yellow with a strong odor, you need to get chugging. If you just don’t like water, try getting it in soups, smoothies and high-water content fruits and vegetables." 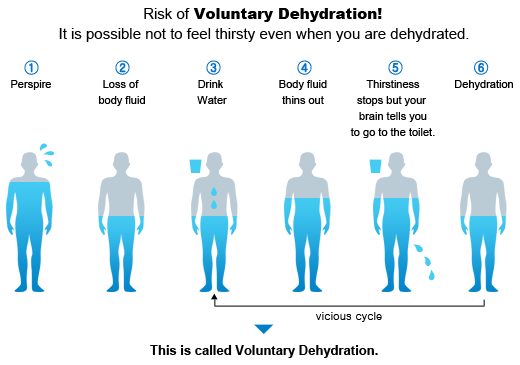 Dehydration is not a simple health issue. 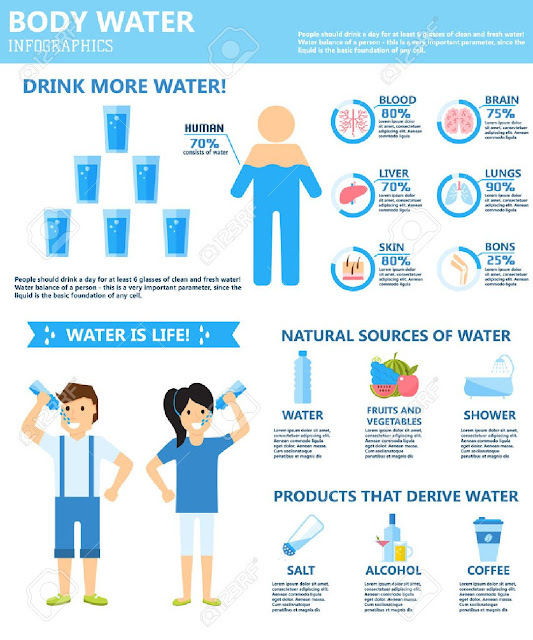 Anyone can run out of liquids in their body due to various reasons, so it is important that you always hydrate yourself with water. 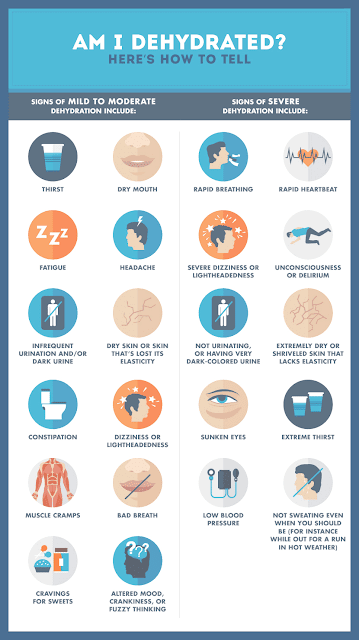 Read on to learn more about symptoms of dehydration and how to prevent it. If your body has lost one to two percent of its entire water content, you will feel thirsty, a sign that you need to replenish the lost liquids. In serious cases, delirium or unconsciousness. 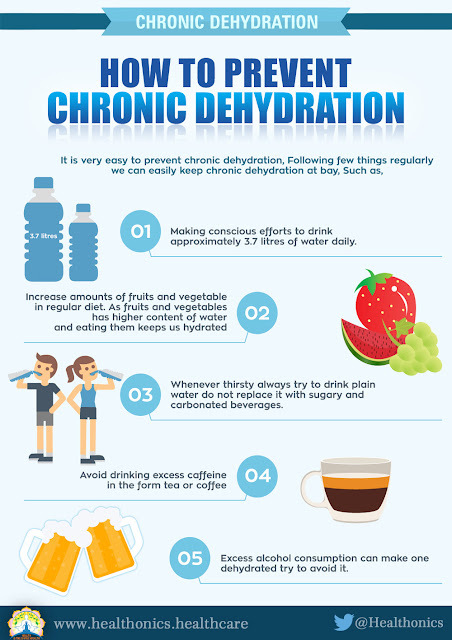 Chronic dehydration may affect your organs and lead to kidney stones, cholesterol problems, constipation, and liver, joint, and muscle damage. 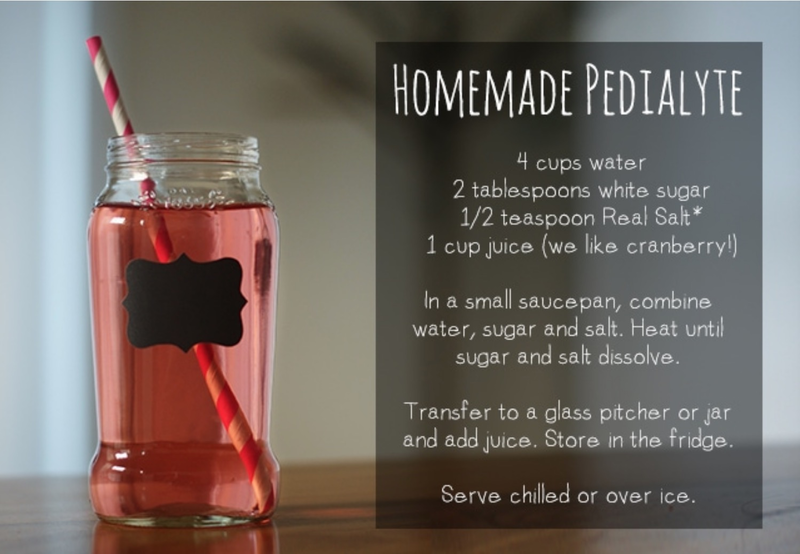 Whether it is mild, moderate, or severe dehydration, the lost liquids in your body must be immediately replaced. 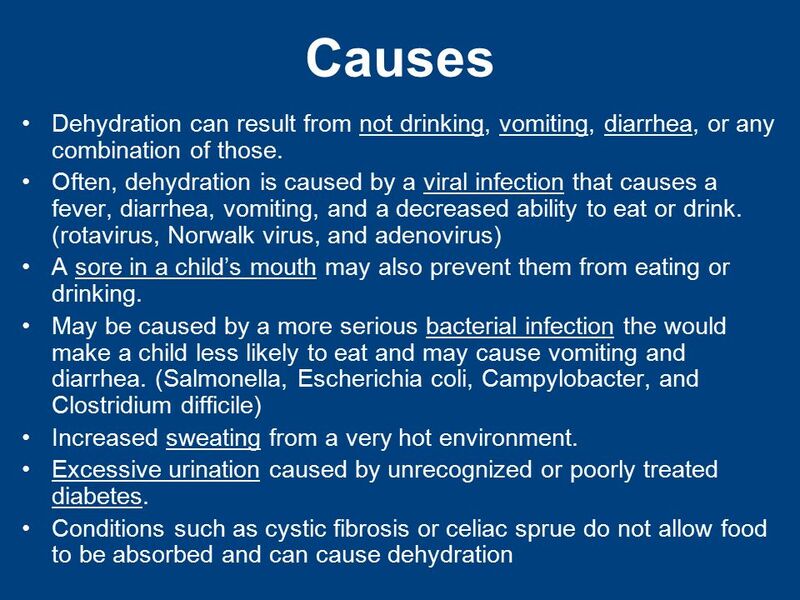 If you start to develop severe diarrhea with or without vomiting, fever, moderate diarrhea for 24 hours, bloody stool, or you can't drink any liquids, you must get professional treatment as soon as possible. Diarrhea. It prevents your intestinal tract from absorbing water from the foods that you eat, which makes it the most common cause of dehydration. Vomiting. Common causes include foodborne illnesses, nausea, and alcohol poisoning. Diabetes. Aside from having high blood sugar levels, some medications for diabetes like diuretics may cause diabetics to frequently urinate. Frequent urination. It can be cause by alcohol and certain drugs like antihistamines, blood pressure medications, and antipsychotics. Athletes, particularly those who are involved in marathons, triathlons, and cycling tournaments, are also predisposed to dehydration. 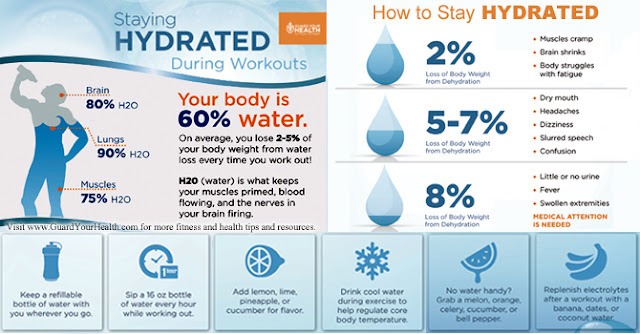 The longer they exercise, the more they lose water in their bodies. One study even revealed that dehydration can affect basketball players' performance. 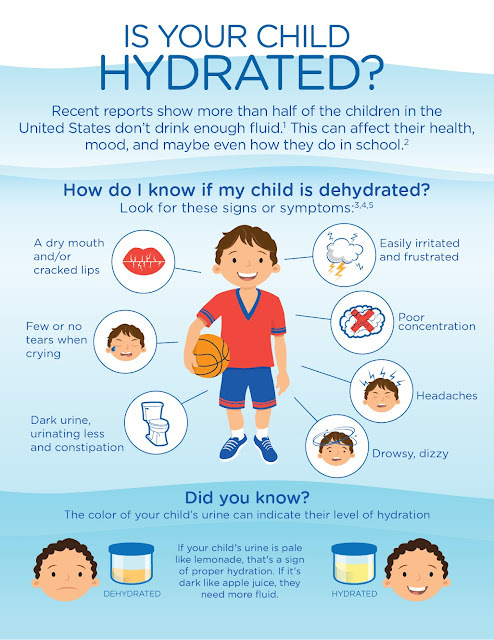 The study focused on 17 males ranging from 17-28 years old, and determined their performance based on different dehydration levels of up to 4 percent. The result showed that when there's an increase in dehydration, skill performance decreases. 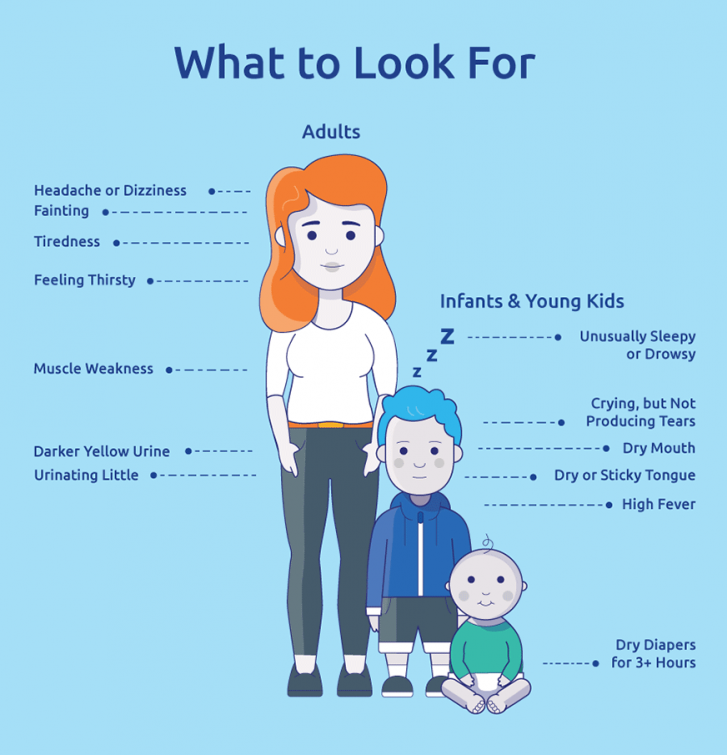 Infants and children are especially prone to dehydration since their bodies are composed of 70 percent and 65 percent water, respectively. Since their bodies are more vulnerable to water depletion, their need for water is greater than adults. 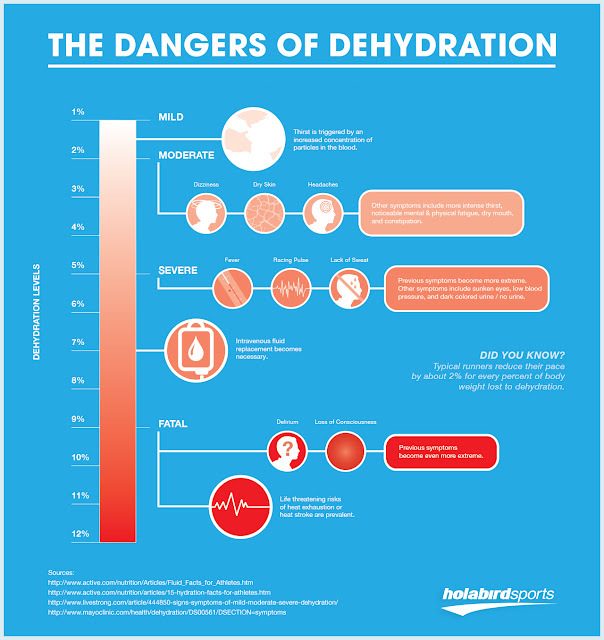 Elderly people are also at risk for dehydration since the thirst mechanism weakens as a person grows older. According to BBC News,8 research revealed that one in five seniors is not getting enough water every day, as aging causes people to lose their sense of thirst mainly because of minimal social contact or forgetfulness. Those with dementia were found to have a six-fold increased risk for dehydration. 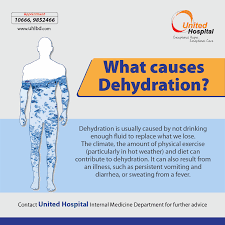 Ill-stricken people, like those who are inflicted with kidney disease, diabetes, cystic fibrosis, and adrenal gland disorders, are also more prone to dehydration. Alcoholics may also be susceptible to this condition. Since dehydration can be a life-threatening condition, it is important that you replenish your body with water immediately after you've lost so much. 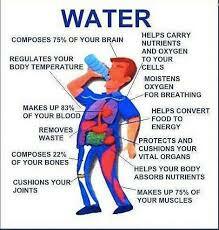 Water plays such an immense role in your bodily functions, making it an essential part of your everyday life. Always bring a bottle of water with you during exercise or any physical activity, especially when the temperature's too hot. 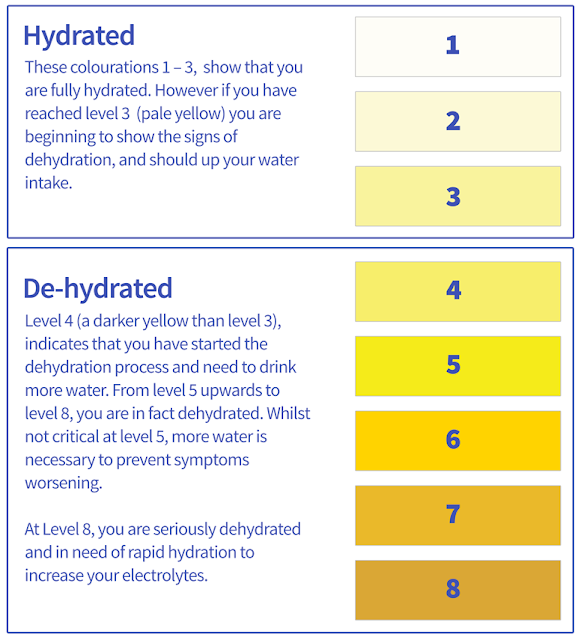 One good rule of thumb to prevent dehydration is to drink as much water until your urine turns light yellow. Dark urine means that your kidney is retaining liquids in order for your body to perform its normal functions. 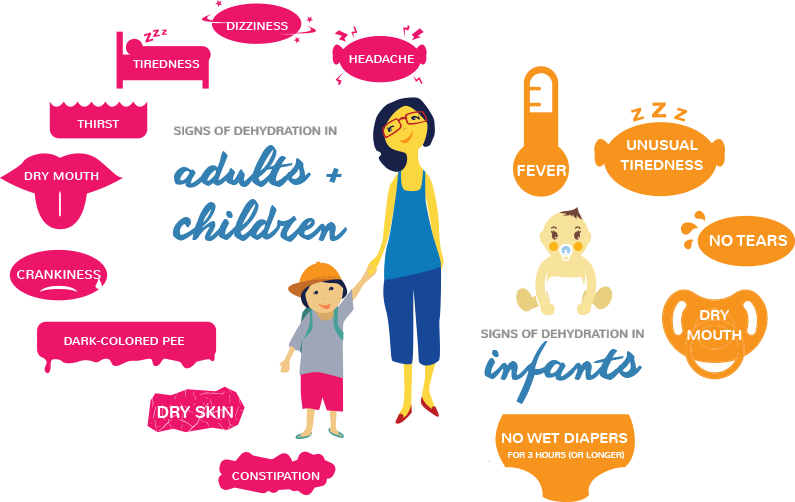 It is especially important to pay attention to people who are sick with fever, vomiting, or diarrhea, so they may not become dehydrated. They should be given lots of water to replace the liquids that they've lost. A typical sports drink contains high-fructose corn syrup (HFCS) and artificial sweeteners. It has two-thirds of the sugar content of soda, and is 30 times more erosive to your teeth than water. High-fructose corn syrup could cause negative health impacts like preventing the natural production of your body's human growth hormone (HGH). 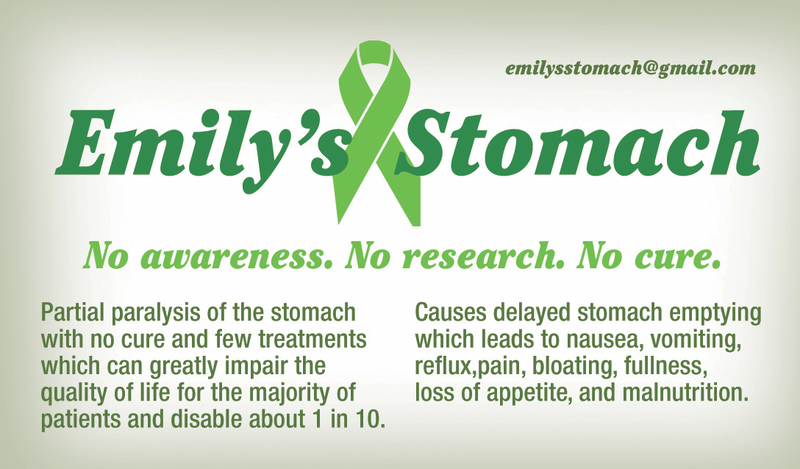 It also contributes to almost all chronic diseases like diabetes, cancer, and heart disease. Commercial fruit juices are another sweetened drink that you must avoid because they do not have any hydrating properties and are actually loaded with sugar. For example, Minute Maid's 15.2 ounce bottle actually contains 49 grams of sugar. What's more, most processed fruit juices are made with little resemblance of what an actual fresh fruit juice would be. Commercial fruit juices are pasteurized and their oxygen is removed to preserve them for a long time, making the juices less nutrient-dense. Store-bought fruit juices with an expiration date of 60 days or more is a sign that it is heavily processed, so I encourage you to boycott these kinds of beverages. I advise you to avoid drinking tap water at all costs as it contains fluoride, heavy metals, and disinfection byproducts that may have ill effects on your health. Install a water filter in your home to ensure that these harmful contaminants are strained. If you want the best water for you and your family, I suggest drinking structured or "living" water, such as deep spring water. According to Dr. Gerald Pollack, one of the world's leading research scientists about the physics of water, structured water or EZ "exclusion zone" water is the same type of water found in your cells. It has a negative charge, and works just like a battery by holding and delivering energy. Since distilled water is too acidic and alkaline water is too alkaline, only structured water contains the ideal PH range of 6.5 to 7.5. That's why I truly want you to nourish your body with structured water, as it can restore your body to a balanced and whole state. I personally drink vortexed water since I became a fan of Viktor Schauberger, who did so much work about vortexing hundred years ago. By creating a vortex in your glass of water, you are putting much energy in it and increasing EZ as well. Ideal EZ water can be found in glacial melt but since it is practically inaccessible for almost everyone, natural deep spring water is a good source. Just bring glass jugs and avoid plastic bottles since they contain bisphenol A, bisphenol B, and phthalates, which are harmful to your health. If you want to drink something flavorful than water, you can opt for raw, organic green juice made from fresh vegetables. However, I recommend refraining from drinking juice with too many fruits as it will have high amounts of sugar and calories. Go for a green juice recipe that combines one or two fruits and larger amounts of greens like spinach, celery, or kale. That way, you can minimize your sugar intake and still get all the nutrients from the fruits and vegetables in their purest forms. I advise keeping your fructose consumption below 25 grams per day. If you have type 2 diabetes, insulin resistance, or heart disease, it is wise if you will minimize your total fructose to 15 grams daily. Coconut water also serves as a great replacement for commercially sold sports drinks. It provides optimal health benefits due to its anti-inflammatory, amino acids, and antioxidants. A word of caution: coconut water also contains sugar, so you should drink it in moderation. Drink it preferably after a cardio workout, when you need to replace minerals and fluids. 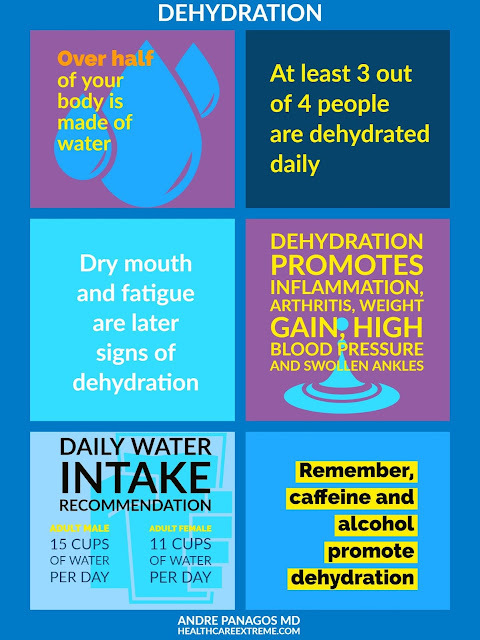 Everyone is practically at risk for dehydration, even without any physical activity, so it is important to always keep a bottle of filtered water to always keep you hydrated. Remember that a healthy person urinates seven to eight times each day, so if you're not urinating frequently it means that you're not drinking enough water. Remember to always listen to your body. Once you feel that urge to drink, opt for structured or filtered water rather than artificially sweetened beverages, which can have dire effects on your health. 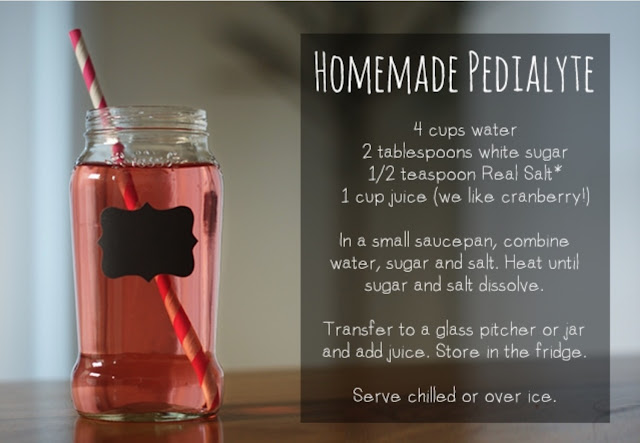 Nothing feels more refreshing than cold water to replace the liquids that you've lost." This article was written by Toby Mündel from Massey University, and was originally published by The Conversation. Water is essential for human life. 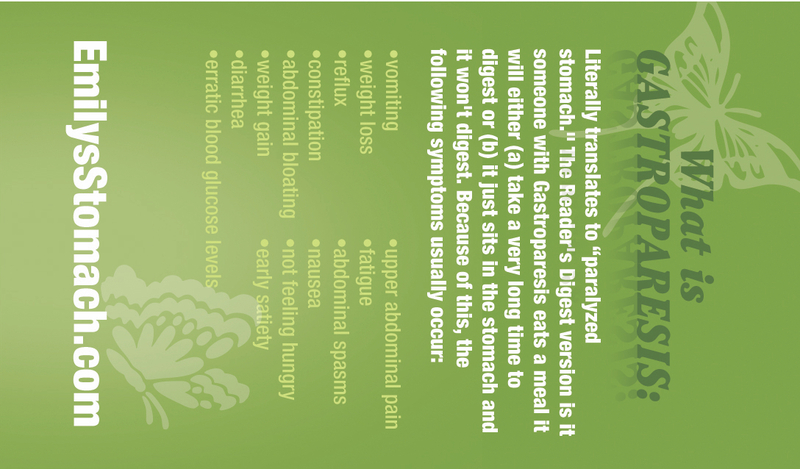 It accounts for for 50-70 percent of our body weight and is crucial for most bodily functions. 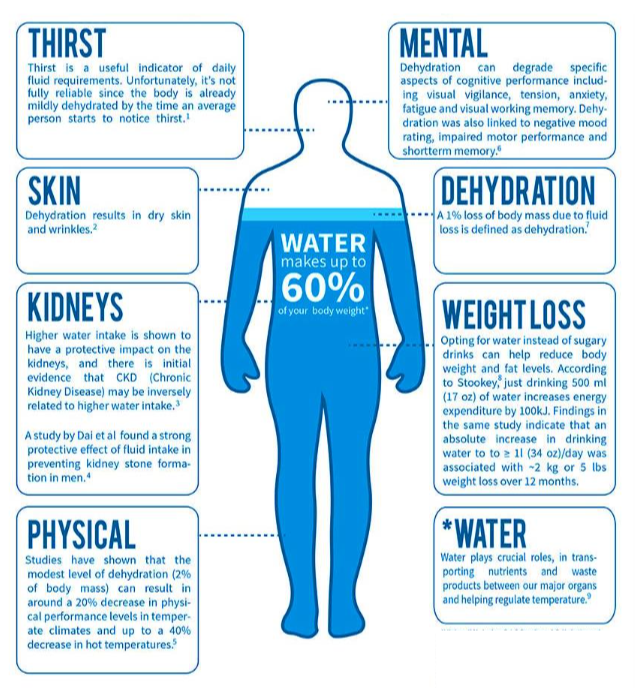 Any deficit in normal body water – through dehydration, sickness, exercise or heat stress – can make us feel rotten. First we feel thirsty and fatigued, and may develop a mild headache. This eventually gives way to grumpiness, and mental and physical decline. Research shows that as little as 1 percent dehydration negatively affects your mood, attention, memory and motor coordination. 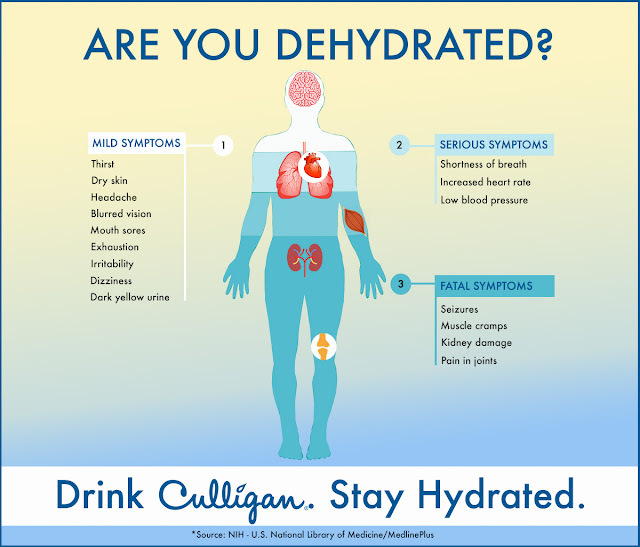 Data in humans is lacking and contradictory, but it appears that brain tissue fluid decreases with dehydration, thus reducing brain volume and temporarily affecting cell function. As you 'lose' body water without replacing it, your blood becomes more concentrated and, at a point, this triggers your kidneys to retain water. The result: you urinate less. The thicker and more concentrated your blood becomes, the harder it is for your cardiovascular system to compensate by increasing heart rate to maintain blood pressure. When your dehydrated body is 'pushed' – such as when exercising or faced with heat stress – the risk of exhaustion or collapse increases. This can cause you to faint, for instance, when you stand up too quickly. 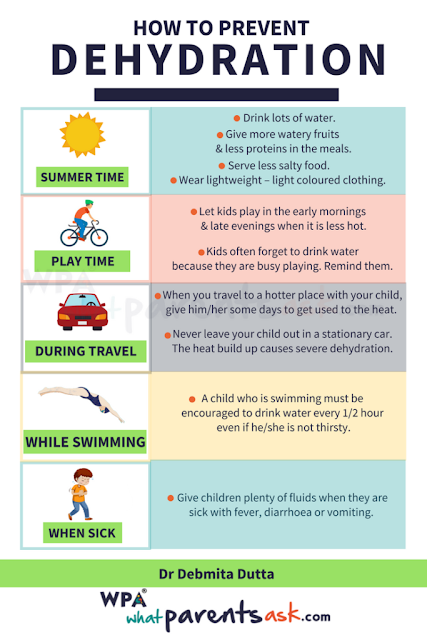 Less water also hampers the body’s attempts at regulating temperature, which can cause hyperthermia (a body temperature greatly above normal). At a cellular level, 'shrinkage' occurs as water is effectively borrowed to maintain other stores, such as the blood. The brain senses this and triggers an increased sensation of thirst. Around 80 percent of total daily water should be obtained from any beverage (including water, caffeinated drinks and alcohol!) and the remaining 20 percent from food. Track your body weight and stay within 1 percent of your normal baseline. You can work out your baseline by averaging your weight (just out of bed, before breakfast) on three consecutive mornings. Toby Mündel, Senior Lecturer, School of Sport and Exercise, Massey University." 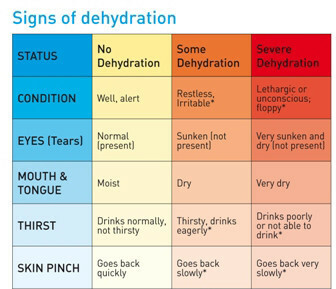 "The symptoms of dehydration depend in part on the cause and in part on whether there is associated salt deprivation as well. When loss of water is disproportionately greater than loss of electrolytes (salt), the osmotic pressure of the extracellular fluids becomes higher than in the cells. 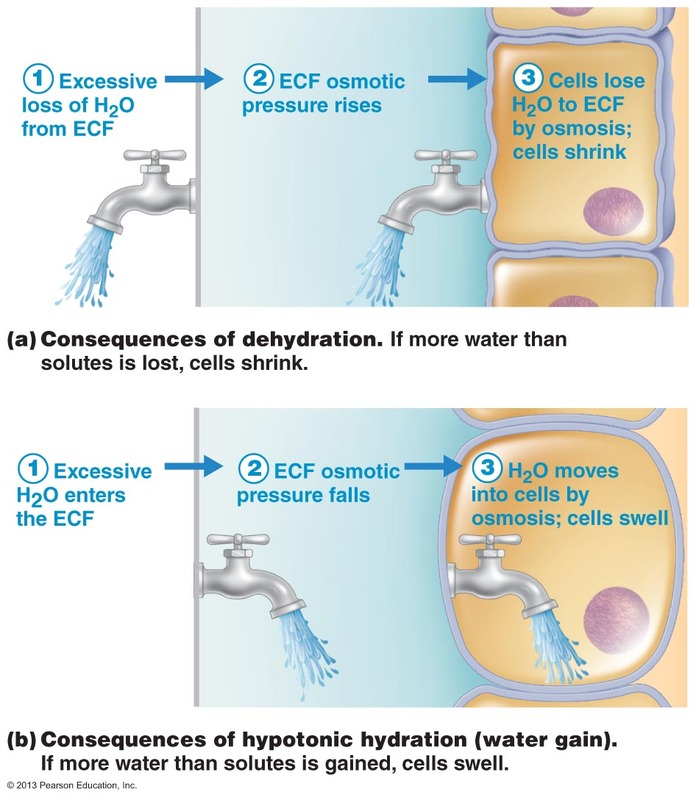 Since water passes from a region of lower to a region of higher osmotic pressure, water flows out of the cells into the extracellular fluid, tending to lower its osmotic pressure and increase its volume toward normal. 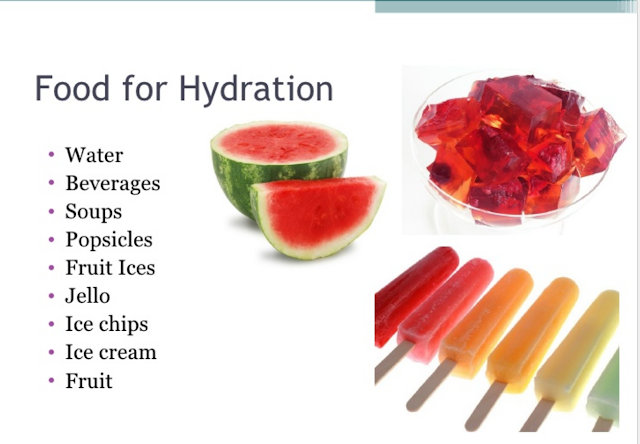 As a result of the flow of water out of the cells, they become dehydrated. This results in the thirst that always accompanies “pure” water depletion. In those diseases in which there is loss of salt in excess of water loss, the decreased concentration of sodium in the extracellular fluid and in the blood serum results in decreased osmotic pressure, and water therefore enters the cells to equalize the osmotic pressure. Thus there is extracellular dehydration and intercellular hydration—and no thirst. 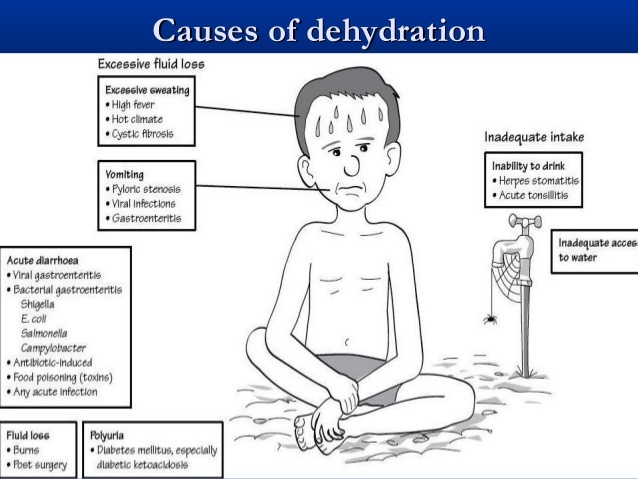 Water deprivation produces distinctive symptoms in humans. Weight loss, amounting to two to three pounds per day, occurs. 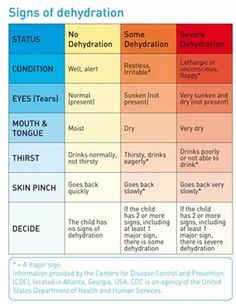 Thirst is the most prominent symptom, with the dryness of mouth, decreased production of saliva, and impaired swallowing that accompany it. It is probable that thirst is the result of this subsequent intracellular dehydration and increased intracellular osmotic pressure. Experimentally, thirst can be produced when the cells have lost about 1 percent of their intracellular water. As dehydration progresses, the tissues tend to shrink, the skin becomes dry and wrinkled, and the eyes become sunken and the eyeballs soft. Fever develops, possibly from mild to marked, as dehydration progresses. 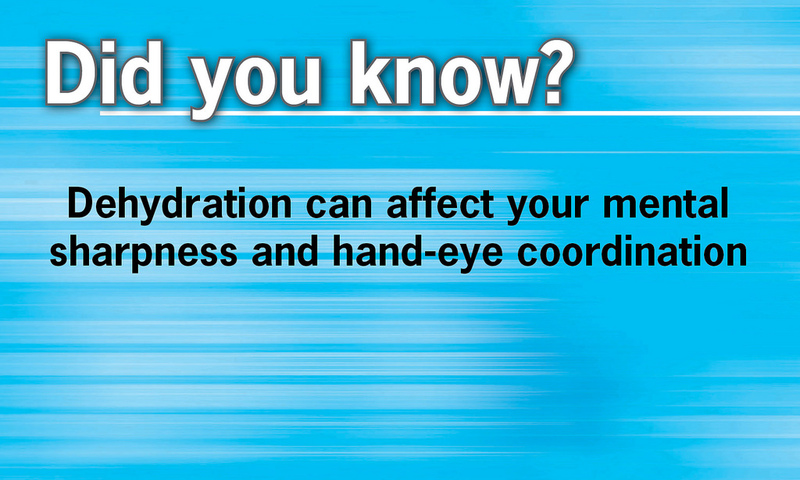 Dehydration itself probably affects the temperature regulatory centres in the brain. As dehydration and salt loss progress, however, the plasma volume and heart output decrease, with a consequent decrease in blood supply to the skin. Sweating decreases and may stop completely, and the main avenue for heat loss is closed. The body temperature may then rise precipitously. There are marked changes in the volume of the extracellular and intracellular fluids, but the blood plasma volume changes the last and the least. The plasma volume is maintained more or less constant at the expense of the tissue fluids. If, however, the plasma volume does fall, the output of the heart also falls, and the pulse rate climbs, all of which indicates a dangerous physical state. The renal (kidney) changes that occur in humans during prolonged water depletion similarly tend to maintain a normal balance. If water deprivation continues and the plasma volume falls, however, the output of urine will be drastically reduced. As long as urine output of more than 30 millilitres (1 ounce) per hour is maintained, the kidney can excrete nitrogenous and nonnitrogenous solids with maximum efficiency. Once the urine flow is decreased below this level, the kidney is unable to function efficiently, the substances are retained in the body, and their concentration in the blood rises. The final result of prolonged dehydration is now apparent. The normal distribution of salt and water in the body is destroyed, the plasma volume decreases, and the blood viscosity increases. As a result of these changes renal function is impaired, the urinary output falls, and waste products accumulate. Far more life-threatening, however, is decreased loss of moisture from the skin, with the subsequent rise in temperature, and the fall in cardiac output with the attendant irreversible shock. Once renal failure occurs, about 8 percent of the total body water has been lost (4 litres [about 4.25 quarts]). 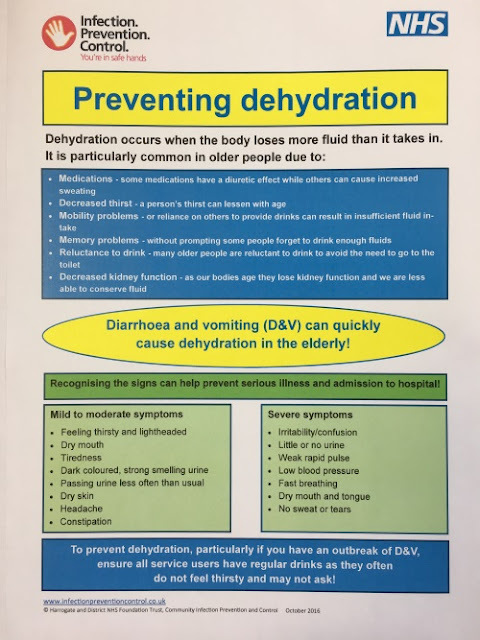 When 5 to 10 litres (about 5.25 to 10.5 quarts) of body water have been lost, a person is acutely and severely ill, with contracted plasma volume, increased concentration and viscosity of the blood, renal failure and excessive urea in the blood, and falling blood pressure. In a previously healthy adult, death follows the loss of 12 to 15 litres (about 12.5 to 15.8 quarts) of body water. 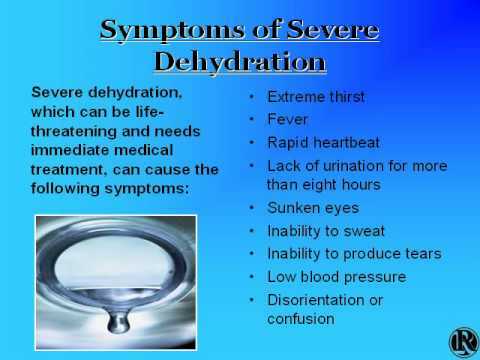 In the very young, the very old, or the debilitated, death occurs at a lower level of dehydration."